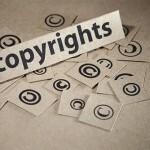 While copyright laws and ownership laws are specifically defined, confusion still cannot be avoided. It’s important that you are knowledgeable with these laws especially when you’re a creator or you work in the music, movie, literary, and art industries. Here is the breakdown of the basic copyright and ownership laws that you need to be aware of. 1. A work created for an employer is not yours but your employer’s. 2. A work created when you were hired is not yours but to the person who hired you. 3. A work you sold to someone else is not yours but to the person who bought your work. 4. If you have created a work with someone else, like a collaboration to create a piece of work, the ownership belongs to the both of you not yours alone. 7. It is only common that the one who created the piece of work will set limitations to the transfer of copyrights. For example, the author of the book may limit the film production company that want to put his of her novel into motion picture, the choices of actors that will play the characters s/he has created.